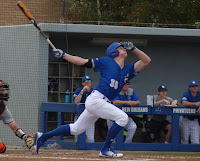 The Privateer baseball team left for its 10-day road trip on the verge of falling off a cliff, and returned in the thick of the race to qualify for the Southland Conference tournament. New Orleans continued its odyssey this past weekend in Beaumont, claiming two out of three games at last-place Lamar, with the only Cardinal victory somehow coming over UNO superstar hurler Bryan Warzek, who was uncharacteristically wild in walking six in just four innings of work. 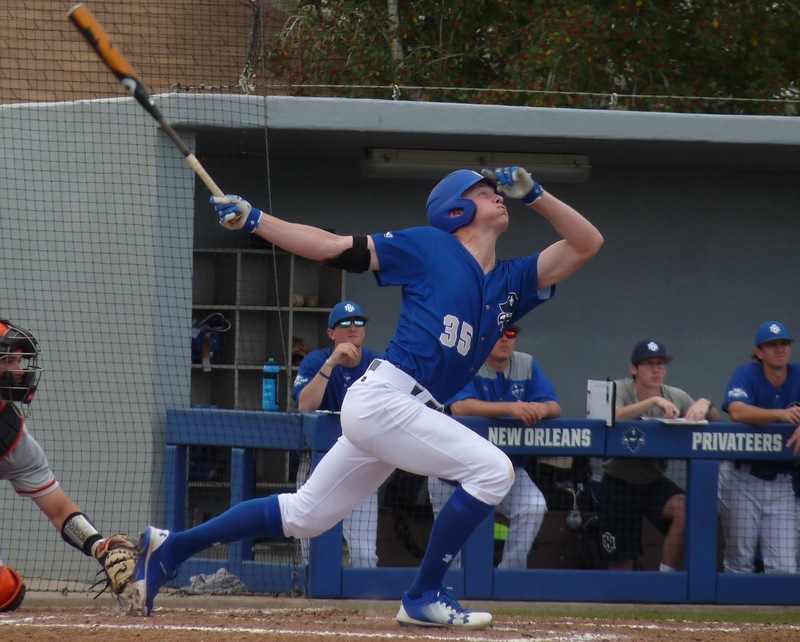 The Privateers, however, came up with 21 innings of superb work from the rest of the staff in a Sunday doubleheader sweep of Lamar, allowing just two runs for the entire day. UNO won the first game 6-2, and the nightcap 2-0 in 12 innings. On Tuesday, if the baseball gods had a truly wicked sense of humor, they would have taken advantage of a third straight close UNO-Tulane contest by gifting the Bucs a third consecutive win via wild pitch. But in reality, the Green Wave took this round on a walkoff double, claiming a 4-3 victory over the Pelican Cup champs. Finally, on Wednesday, New Orleans rallied past Southern in Baton Rouge, 7-5. Collin Morrill had three hits, and Devin Morrill and Beau Bratton added two apiece to fuel the Privateer offense, while the pitching staff struck out 17 Jaguars. UNO returns home 17-17 overall and 7-8 in the Southland Conference, placing them in eighth place (eight teams qualify for the tournament). A big series awaits back at Maestri Field against McNeese beginning Friday night at 6:30 p.m.